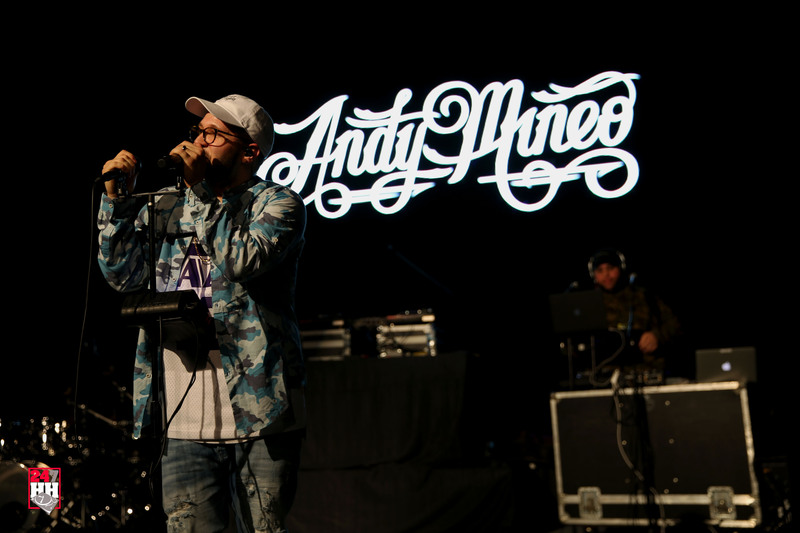 The night began well with the Andy Mineo performance as he tried to light up the small gymnasium. While he’s not a small man, his presence on stage is big as he runs and jumps around, trying his best to invigorate the audience. Unfortunately for him, his performance had a few difficulties, including the audience being unfamiliar with his music and equipment failures plaguing the performance. Several times throughout the show, his microphone would cut out, but it did nothing to stop him, even diving down into the crowd at one point to continue rapping surrounded by students. At the end of his set, Mineo tried to hype the audience up and get them rapping along with him but unfortunately, people simply did not know how his songs went. It was a disappointing moment to see, but he handled it remarkably well, carrying his high energy into the break and exciting the crowd for the performance of Logic. More students began streaming in closer to 9 pm for the main event act, which is slightly disappointing as they missed out on an impressive opening act from a relatively unknown artist for many in attendance. But as 9 pm crawled closer and a generic party playlist blared through the gym, you could feel the excitement growing in the crowd. Until the spotlights came on, a DJ came out, and Logic came out on stage. For a small guy, he has a lot of stage presence, and almost instantly he captured the attention of the entire room, practically demanding it from everyone in attendance as he started the show off well, almost immediately jumping into his hour long performance, stopping only occasionally to call out to the audience. In between cries of “Put those hands up” he spit raps from both Under Pressure and The Incredible True Story, dancing his way through his musical catalogue to try and elevate the atmosphere in the room. Maybe it was the slightly inebriated crowd, maybe it was the all male campus, maybe it was Logic, but there was an undeniable energy within the room, with people crowd surfing halfway through the first song of his set, that only built as the evening went on. It came to a peak roughly halfway through his show when a student threw their phone onto stage. 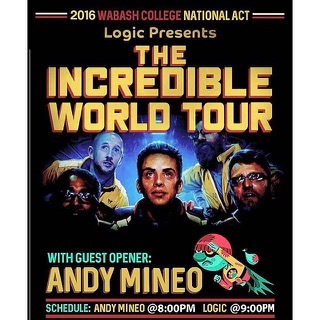 But instead of having security kick the student out of the show, which he had all reason to do, Logic instead took the cell phone, opened up Snapchat and “took it over”. He took pictures and videos with the crowd, before giving the phone back to the student and calling different members of the audience out, asking their names and joking with those in attendance. It was an impressive moment for the artist, and it really showed how well he could work the audience. On the musical side, there were some surprising moments, including Big Lenbo coming out from backstage to help perform “Young Jesus” and a few moments where the music would drop out and Logic would just spit raps, building faster and faster until the music kicked back in. At one point this almost freestyle-like performance went on for a two minutes as the crowd roared and jumped and cheered. 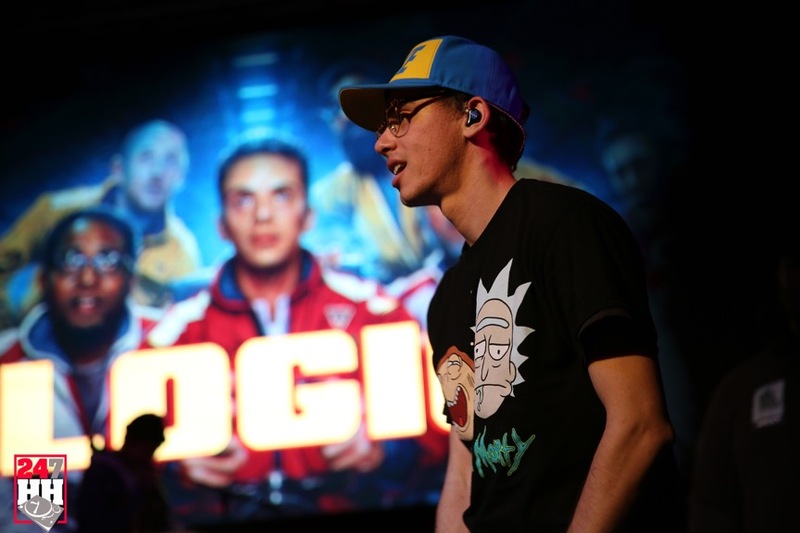 It was an exciting demonstration of the impressive technical skill that Logic has that he rarely shows in his songs, and it made me crave seeing that type of performance on his next album. After the show, unfortunately, Logic ducked out of the back, letting the students stream out the other way. 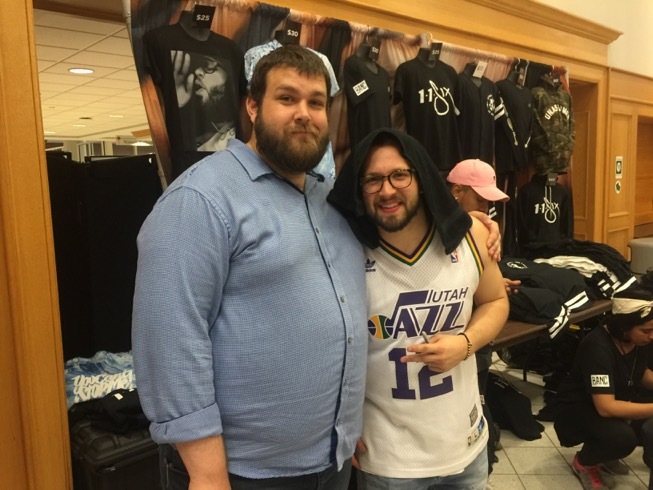 Mineo did stay behind, talking to students, signing merchandise, taking pictures, and at one point spitting a rather impressive freestyle over a student’s beatbox as several others recorded. It was a really cool thing for an artist to do, when by all rights he could have followed Logic out the back. It’s hard not to like an artist after interacting with him like that, and it really emphasized how much he cares about his fans. It was a cool ender to a really fantastic night. It was a great show, with good music as a talented young MC worked the small, 2-300 person audience. If you have the chance to see either of these two in concert, take it, you certainly won’t regret it.